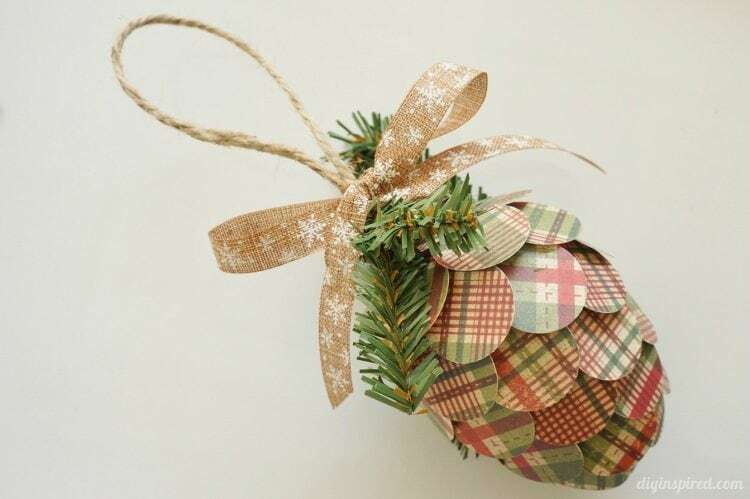 Since I made my DIY Paper Christmas Ornaments not long ago, I have received a few emails and comments about how people liked them because it reminded them of a pine cone. I didn’t even think of that! So, it inspired me to make some matching ornaments for my tree, with the intention of them actually looking like pine cones… ha! 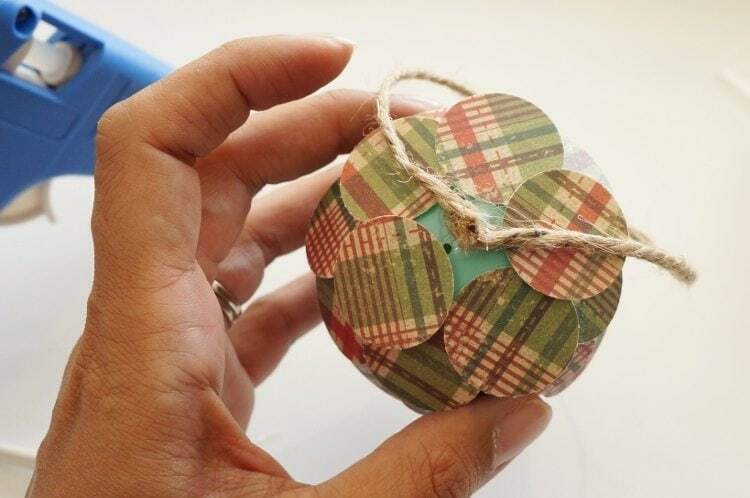 So here is how I made these repurposed paper pine cone ornaments out of plastic Easter eggs, a fun and easy trash to treasure craft. 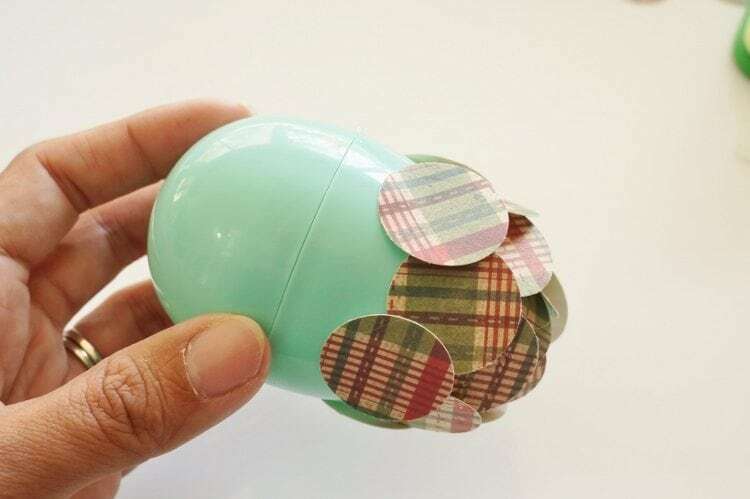 I grabbed a few Easter eggs out of my Easter bin in the garage. Upside down, they would make the perfect pinecones. The first thing I did was glue the two pieces together with some hot glue. 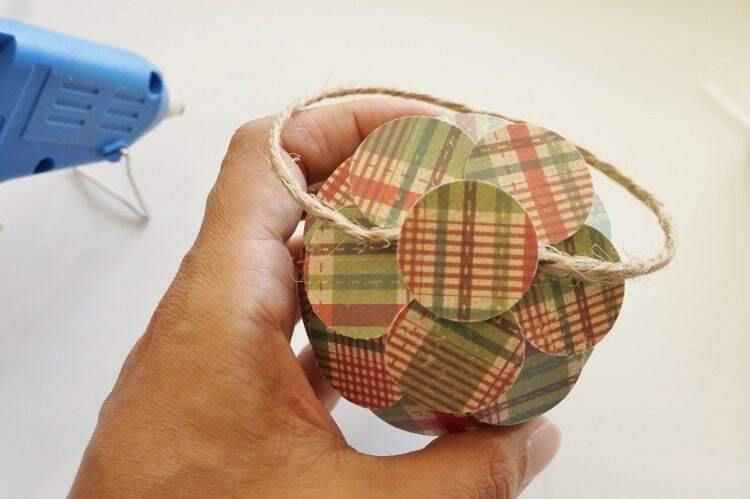 This will prevent it from breaking in half while you are gluing each circle. 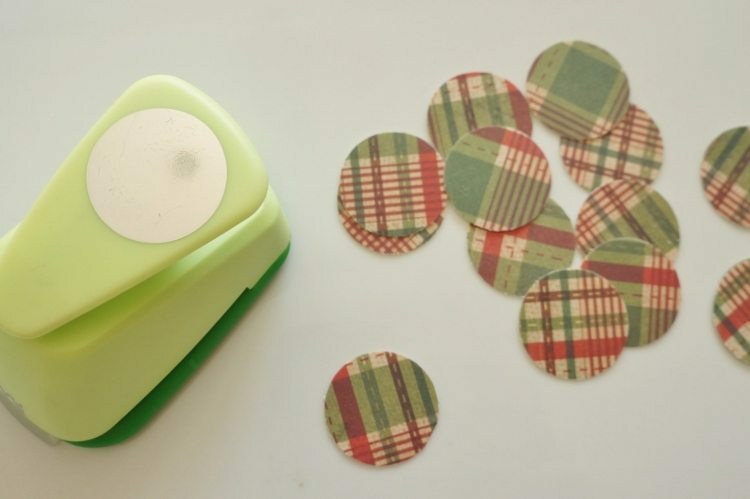 Using a small circle craft punch, I punched out several circles (about a 12X6 piece of scrapbook paper per pine cone). 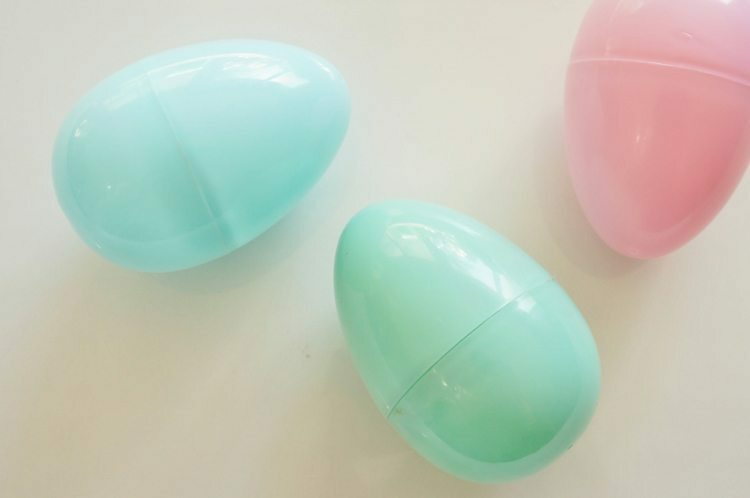 Starting at the narrow end of the egg, glue your circles on. For each row, overlap and alternate circles as shown. When you reach the top, place a dab of hot glue on the top and glue on a piece of twine for your hanger. Glue another circle on top. 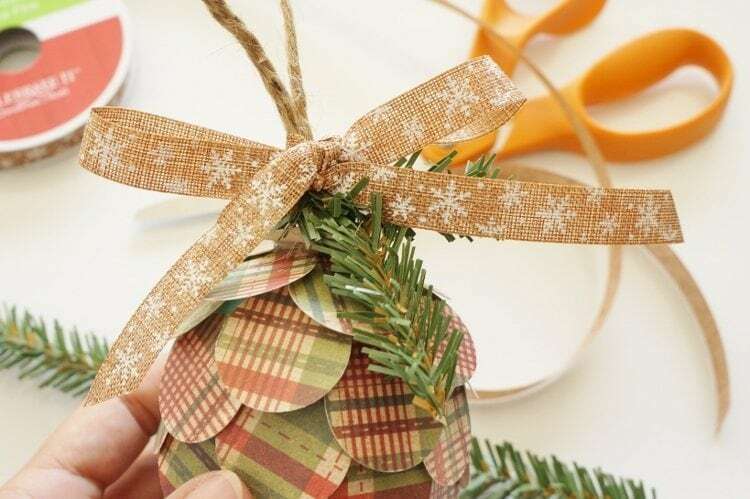 If desired, decorate the top with ribbon and fake pine. I used some leftover mini pine garland from the repurposed bed spring Christmas tree I made. There you have it! You can play around with the colors and patterns of paper. 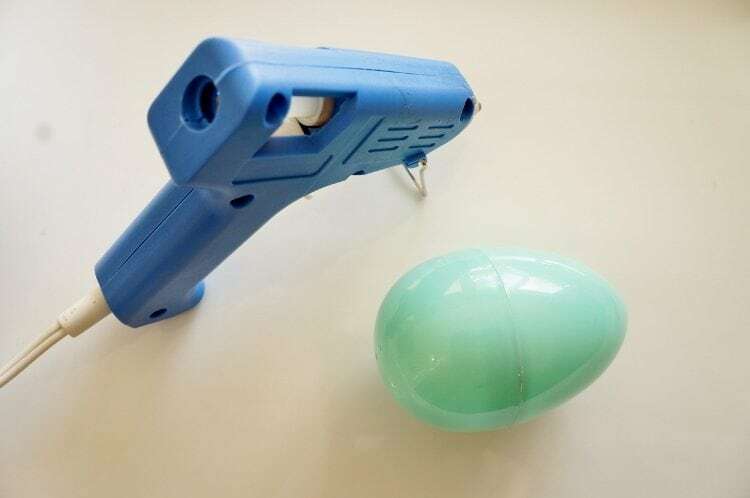 You can also opt to use other types of glue, but I feel that hot glue is the easiest because it dries so quickly. 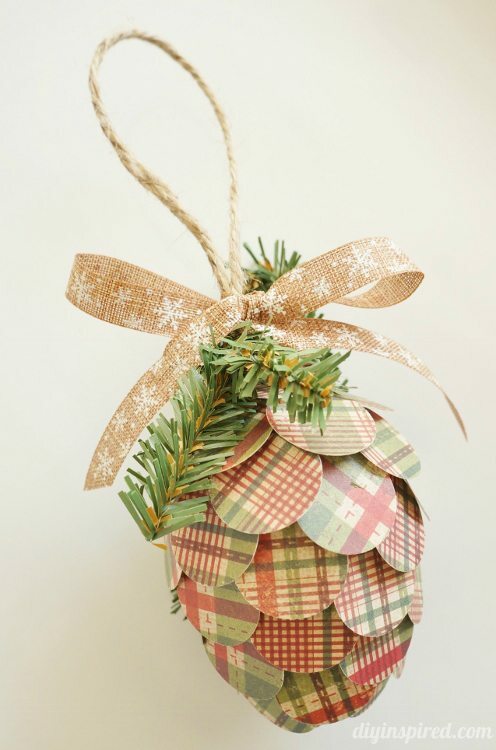 Check out some of my recent tutorials for Christmas ornaments and décor that match these pine cones! this is just way to cute.